Text additions, deletions, and replacements. 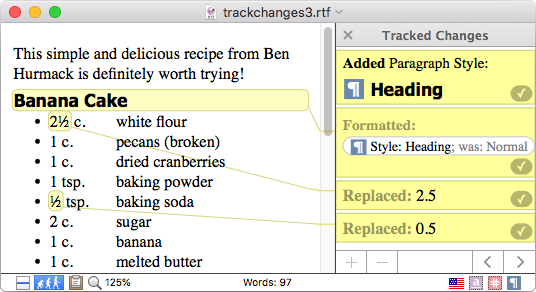 Tracked changes are compatible with Microsoft Word and other apps. 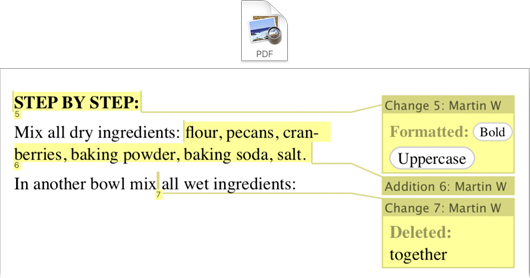 Tracked changes can be included in any printouts or PDFs you create. Optionally number such changes to aid in matching them to their corresponding text. Tracked changes can automatically reposition and fade out as you move around the document, helping you focus on your current editing location. 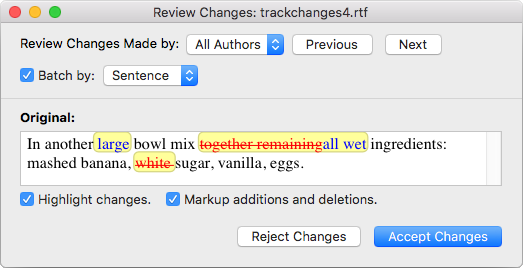 Use the Review Changes panel to accept or reject changes in batches, grouping by sentence or paragraph. Scan through a document for changes quickly using jump to next/previous change. 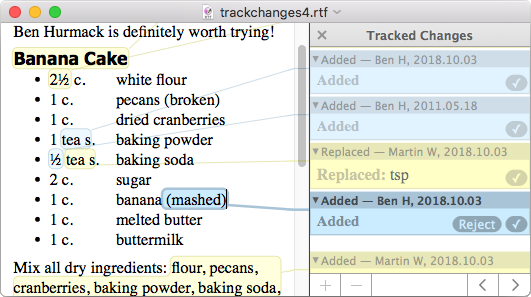 Export all tracked changes as a separate document. Inobtrusively show change locations using gutter icons and text highlighting. Search for matching find results only within changes, ignoring regular text. Read more in our user guide's help topic about Tracked Changes.